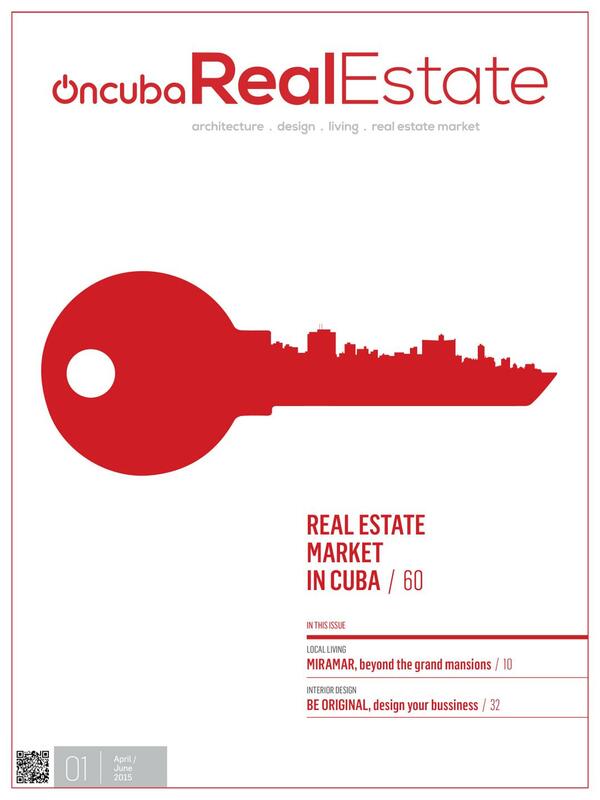 OnCuba Real Estate is a quarterly magazine, edited and designed by top-level specialists. The publication covers the Cuban Real Estate environment’s different market, architecture, interior design, among others. The city that leans on the Port of Havana, the old city, Old Havana, is the postcard many know of Cuba. And yes, Old Havana is a picture, but a live picture, a landscape that has been moving for almost 500 years; a movement and history that make it indispensable in the Cuban real estate scene. Getting to know the old city, one of humanity’s jewels, is essential to understand the Cuba of today and tomorrow. It is necessary to know its architecture, its restoration, its streets, its life, its sounds, its multiple facets, all of which is necessary for the future of the Cuban real estate market. This is how this issue of OnCuba Real Estate is trying to look at that Old Havana of all Cubans. A rapprochement about which the reader will delve in depth through the transformation of Havana’s Avenida del Puerto. Moreover, the history and present of a representative building like that of the Lonja del Comercio can be discovered. The restoration movement that characterizes Old Havana can be seen in the text dedicated to the Teatro Martí. 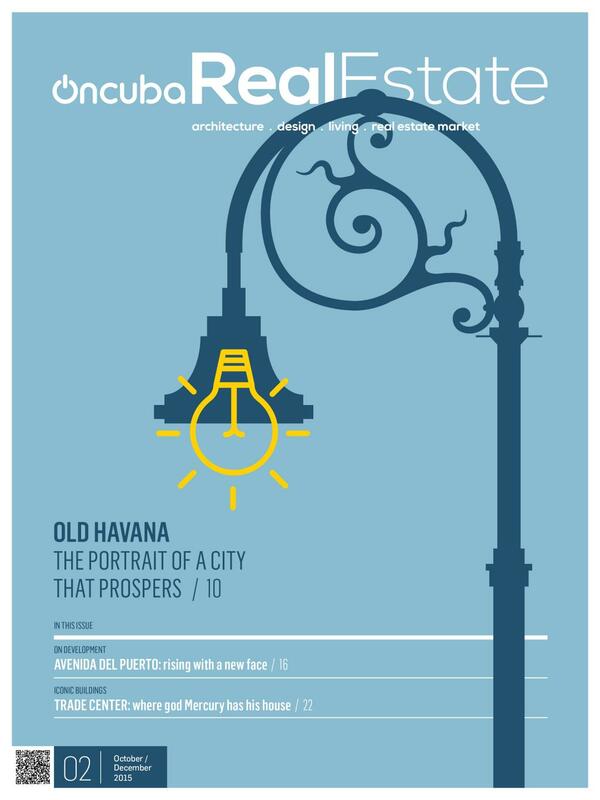 The issue also features the story of a character that has lived in that emblematic space of the city which is La Bodeguita del Medio, and an outlook of some of the art studios located in the old city. This issue will also feature an analysis of the performance of the real estate market in the country, a selection of the proposals for properties currently being offered and an invitation to read three books that deal with Cuban architecture. These and other proposals are our message to that Old Havana, that marvelous city, that city full of life and sounds. That Havana that is - let’s say - a woman with the most well-known face of the Cuba we are. A face with many sides to it. After a long time, we are again reading and hearing in Cuba the expression “Real Estate” and it is like a child who is growing. A child who needs a family to keep him company, to care for him, to guide him. A family that will grow, get to know each other and relate. That’s how it is: the real estate market is being reborn in Cuba. That’s how it is: the real estate market is being reborn in Cuba. The dynamics of change the island is living and breathing has combined the conditions for this rebirth. The updating of legislation, the authorization for the private activity in this and other sectors, and the appropriation of the use of the new technologies have been essential elements. Now, in a synergy that will be defined along the way, the government, businesspeople, architects, engineers, designers, entrepreneurs, owners and other actors will mark the guidelines of the real estate sector. They are responsible for the present and future of the structure, silhouette and decoration of the nation. This is the real estate family in Cuba. OnCuba Real Estate is born wanting to form part of that family. Its goal will be to provide information and illustrate since its inception the current reality of the real estate market and its development. The values and architectural tendencies, the vision of young interior designers, the real estate work, remodeling and new constructions, among other ideas, will be frequent expressions in our work. In this initiation issue we are proposing present and history. We deal with a first approach to some of the interiorities of today’s Cuban architecture as well as, in another proposal, the relationship between private enterprise and interior design. The iconic history of our constructions is present from the view of the Bacunayagua Bridge. The well-known barrio of Miramar, with its history and characteristics, also forms part of this first issue. An issue that, like all the others to come, will add an important seasoning to the analysis of the real estate market during the previous period. Meanwhile, Hemingway and La Guarida will be names that will surely invite you to return to our pages. This is our first step to delve into the Cuban real estate panorama, that young man who is writing its history with a new rhythm. A choral history. A choral writing. A history and writing we will accompany. Oncuba Real Estate is a publication of Fuego Media Group a DBA of Fuego Enterprises, Inc. (FUGI). Do you have a question about this magazine, or want to suggest a new idea? Feel free to email us, or drop a line in Twitter or Facebook!